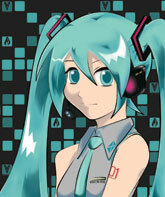 Saturday, Nov. 10, 6:30 p.m.
Vocaloid diva Hatsune Miku will appear in concert at PMX! The 3D virtual performer has been winning the hearts of people all over the world for nearly half a decade. 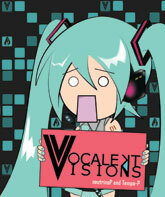 Presented by Vocalekt Visions, Hatsune Miku is starting to take the spotlight all over all over the world. Admittance to the Hatsune Miku concert is restricted to PMX attendees on a first come, first served basis. 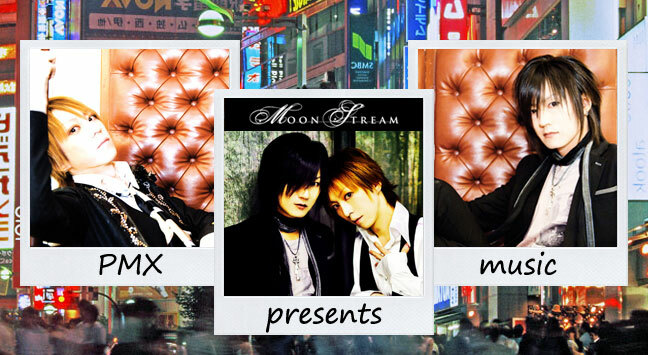 There is no additional charge other than PMX membership for this concert. The concert is on Saturday, 11/10 at 6:30pm. Hatsune Miku, an animated persona of the singing synthesis program Vocaloid, became known throughout Japan when she first debuted “live” in August of 2009. She has since gained worldwide recognition and is one of the more popular images in Japanese anime pop culture today. With over 50,000 songs created a year by her users, she is becoming a pop sensation throughout the world today. Vocalekt Visions is a concert troupe which composes music using the Vocaloid software, and presents them in concert by projecting the choreographed image of various personas provided by the program. Having already appeared and completing sold out concerts in San Francisco, Los Angeles and New York since summer of 2011, performing songs written by Tempo-P and NeutrinoP (producers of Vocalekt Visions), plans are in the works to bring Miku and accompanying acts to venues throughout the United States.